Large SAP project - dubbed CoreMod - facing delays, cost overruns and now a "strategic review". Kiwibank has kept the true state of its system replacement project a close secret, citing issues of commercial senstivity. Kiwibank has booked a $90 million impairment in its software assets and flagged a major change in its SAP core banking roilout. "Although the strategic review has not yet concluded, a potential change to how we build the core ‘back end’ IT system (CoreMod) to match the demands of the ‘future front end’ has prompted a re-assessment of the value of the work in progress since successfully migrating our batch payments to SAP," the bank said today. Kiwibank director Kevin Molloy said the SAP CoreMod system and project was not the one to "future proof" the bank or lead it into digital transformation. Meanwhile, Kiwibank CEO Paul Brock said the impairment was not in relation to current systems, but future ones. "The path we've been focused on was replacing the backend systems," Brock said. However, the emphasis has now shifted to customer focused transformation and new digital channels." The decision to impair at this time was "prudent", he said, and reflects the challenges and changing nature of banking since Kiwibank first contemplated the upgrade four years ago. "We need to ensure that our broader IT infrastructure (not just the core system) doesn’t limit delivery of our long term strategy," Brock said. I don't know why we keep doing this. Molloy said despite challenges from earthquake, Reserve Bank and IT systems, the bank was in a strong financial position. Kiwibank Banking Group posted a 57 per cent drop in full year net profit while its holding company, Kiwi Group Holdings, reported a 56 percent drop, due to the impact of impairment. Kiwibank's net profit was $53 million in the year to June 2017 versus $124 million in 2016. Underlying profit was $122 million compared with $124 million. The bank's holding company, Kiwi Group Holdings, which includes Kiwibank, Kiwi Wealth and Kiwi Insurance, posted a 56 percent drop in net profit to $58 million from $131 million. Brock said meeting rapidly-changing technology and customer requirements is key. Fintech has become a hotbed of innovation globally, forcing Kiwibank to shift its focus away from back end change to the customer interface.Artificial intelligence in particular, was singled out as a development that is expected to alter the financial market and banking landscpe. "In the past year over 40 per cent of sales, for example, were completed through a digital channel. 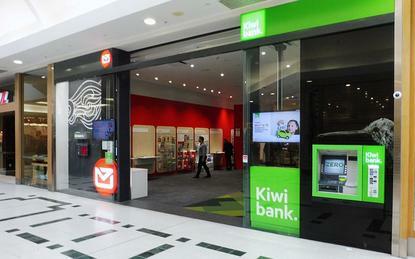 More than 57 per cent of customers digitally connect with Kiwibank, collectively over 27 million times each month," Brock said. In July, Reseller News reported a new disclosure in a bank report revealing the core banking system replacement was falling behind schedule and costs were mounting. Brock announced two weeks ago he will be resigning after seven years leading the company. He will leave at the end of the year. The only cost figure ever attached to the project was a minimum of $100 million but it appears the costs may be signicantly more. Kiwibank did not overtly disclose any more information about the overall costs of the CoreMod system today, but suggested it could be worked out from its next quarterly disclosure statement. A Kiwibank spokesman said in July the bank was cautious about providing detailed information about the CoreMod project.